Suitable for interior and exterior applications. 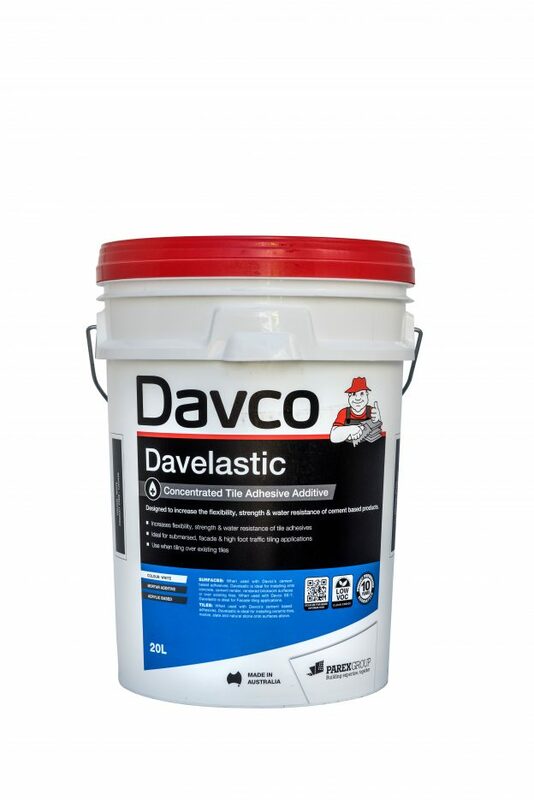 Davco Davelastic being an acrylic polymer creates water resistance in mortars, which enables them to be used in wet areas including concrete swimming pools, spas and external façades. 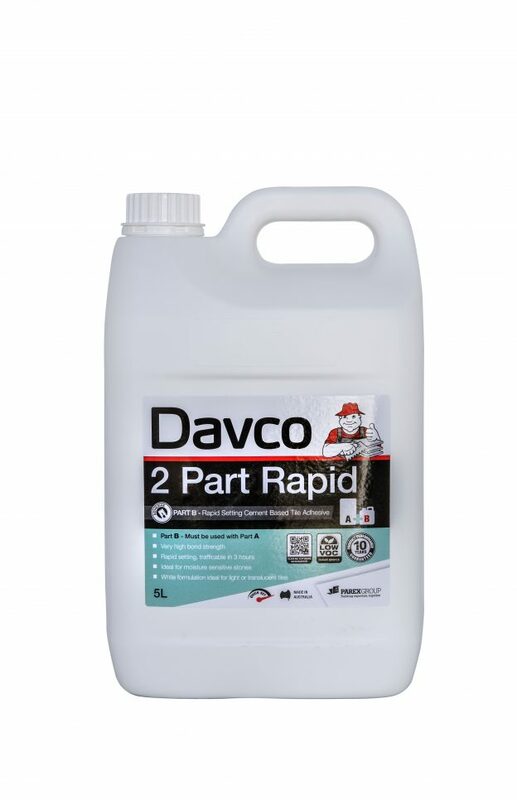 Rapid setting, trafficable in 3 hours, Ideal for moisture sensitive stones. Available Size 5Ltr and 20Kg Kit. 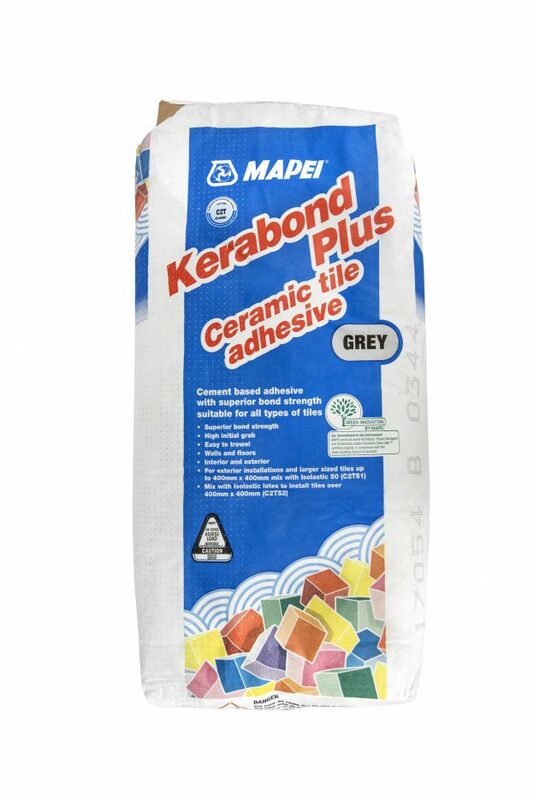 An off white, premium grade, Dust Less tile adhesive. 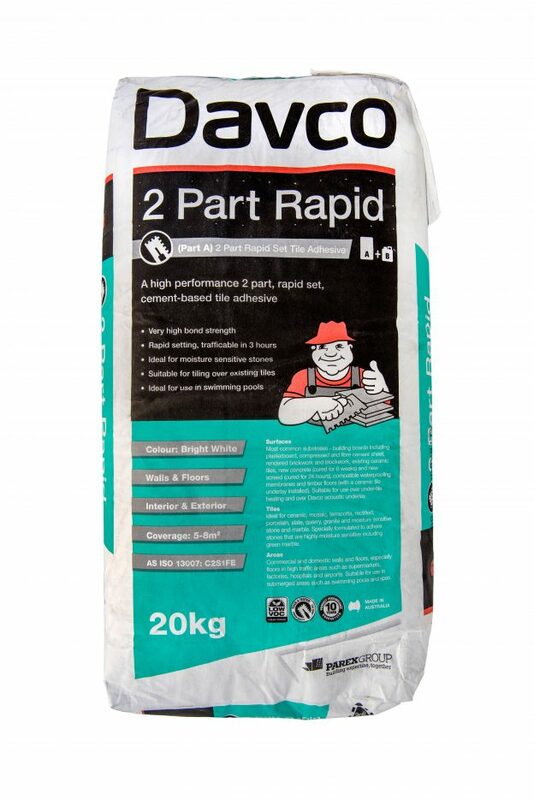 Formulated with non-slump properties ideal for large format wall and floor tiles. 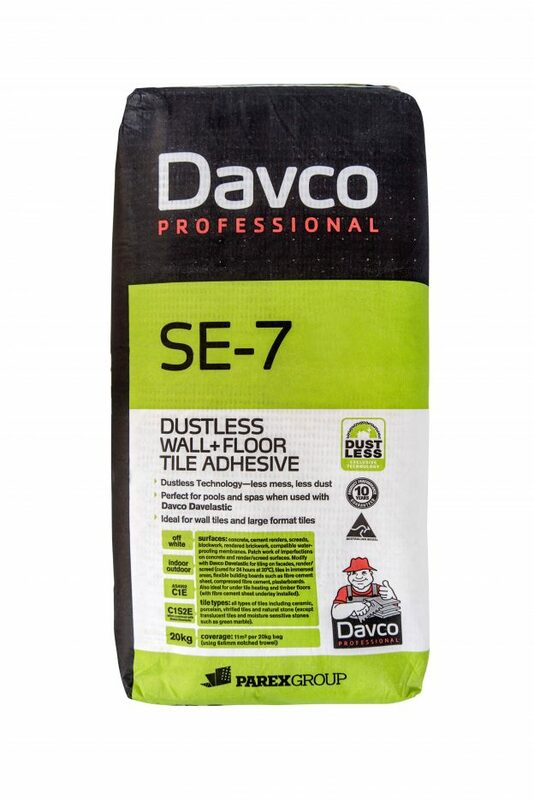 When mixed with Davco Davelastic can be used over under-tile heating, timber floors (with fibre cement sheet underlay installed as stated in A53958), flexible building boards and facades.